Glamorous Girlz is the perfect salon for that special girl in your life. 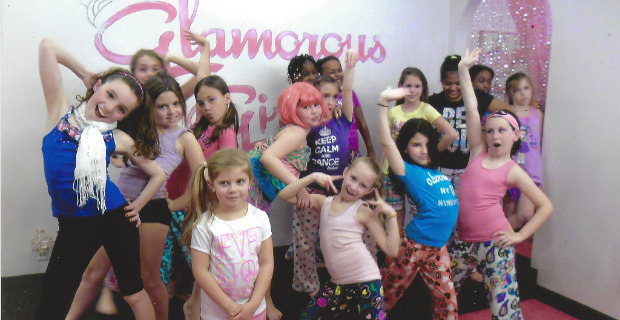 Located conveniently in Westfield, Glamorous Girlz is a fun, full-service salon for everyone in the family. We specialize in themed birthday and spa parties for girls of all ages. Our custom-designed themed runway parties come in a variety of choices. Glam Princess, Glam Diva, Pop-Star, Hula and Cheerleader. The “PJ Jamming Karaoke Party” includes a karaoke dance party while our “Ultimate Glamorous Girls Spa Party “ is a luxurious spa pampering from head to toe. We also offer Girl Scout Parties and our delicious “Decorate Your Own Waffle Breakfast Party”. Glamorous Spa packages include Mini-Glam Package, BFF Package with your bestie, and Mom and Me Day, with a keepsake picture to capture that special day together. Our most popular package is the “Ultimate Glamorous Day Package” for the ultimate glamour girl. Our salon offers haircuts for all ages. “First Haircut Packages” are available. We can do styling, special event updos for Communions, Proms, Weddings and all occasions. We also do hair color, perms and waxing. Hours: Tues - Sun, 10am - 6pm, Thurs open until 8pm.